We are only a few days away from the holiday weekend and I really hope it starts to warm up a bit for Easter:) I know most people reserve the big decorating session for Christmas, but I always think a pretty table or a well styled mantel or console looks lovely to set the mood. 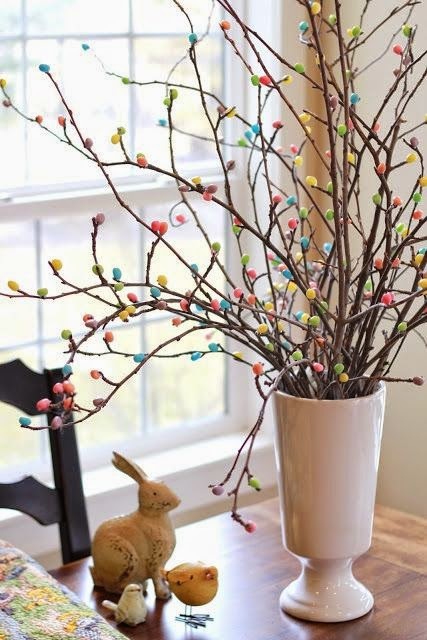 These are actually little jelly beans glued onto the twigs in a vase….a great idea for small kids! 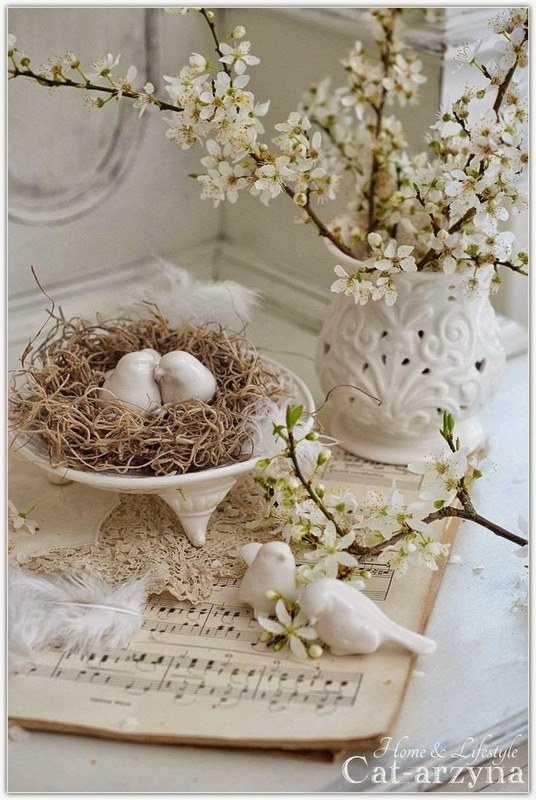 Love the simplicity of these white sprigs in a vase styled with the white ornaments on a bed of straw:) This would be lovely on a sidetable in the living room or on the corner of a mantel. 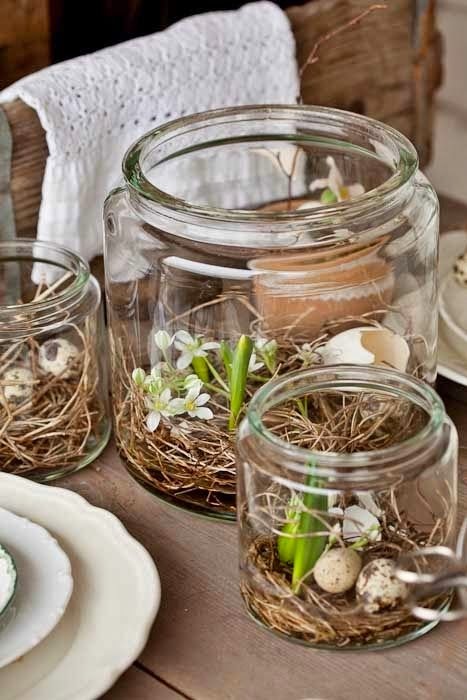 A simple idea here using different size jars, but very effective all the same. 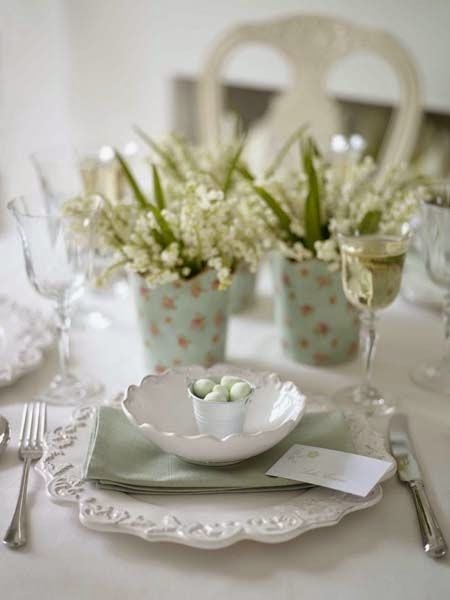 As always plain white pottery or china looks great on the table surrounded by a few small flower arrangements…. have to leave some space for all the good food! This is something I will might try to recreate myself. 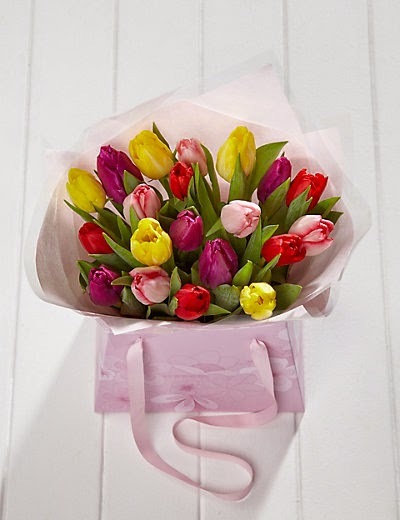 Hope you enjoyed this little bit of Easter inspiration and I’m sure everyone is looking forward to the long weekend:) May the sun shine or Easter outfits could be somewhat challenging!